John Clendon is the Managing Director of Univanich Palm Oil PCL, which has been a pioneer of the oil palm industry in Thailand and the recipient of many awards as one of Thailand’s best performing companies in the Agriculture Sector. A feature of the company’s growth has been that 90% of the fruit processed by the company’s five palm oil crushing mills is now sourced from many thousands of independent small farmers. Univanich also is recognised internationally for its pioneering work in oil palm agronomy and advanced oil palm breeding. The company is Thailand’s first exporter of Certified Sustainable Palm Oil (CSPO) and first in the palm oil industry to generate Gold Standard Certified Emission Reductions (CERs) under the United Nations CDM scheme. In 2012, the Univanich – Plaipraya Community Enterprise Group became the first group of independent small-holders to also achieve certification from the Round Table on Sustainable Palm Oil (RSPO). 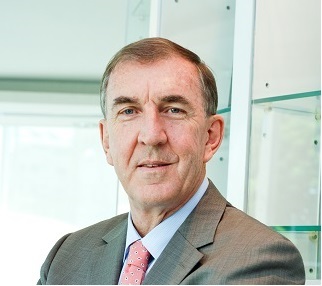 John Clendon is a New Zealander who has worked in Asia’s plantation industry for nearly 40 years, first as a manager in the Unilever Plantations and Plant Science Group where he became Director of Oil Palm Operations in East Asia, before joining Univanich Palm Oil PCL in 1998.